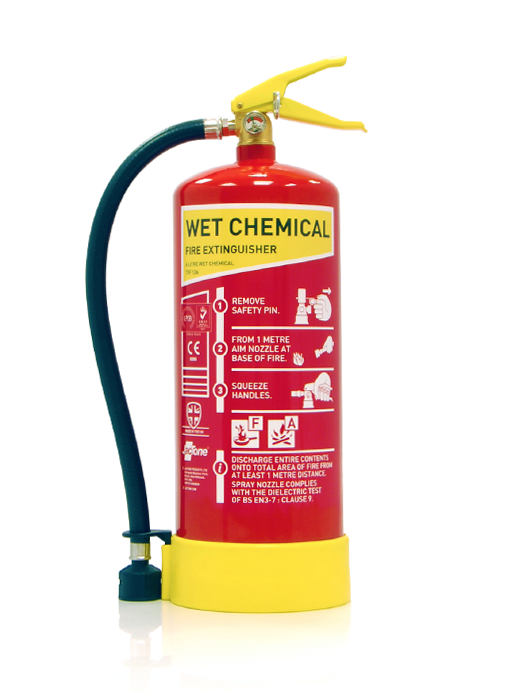 Part of our UK manufactured Premium Range, the 6 litre Wet Chemical fire extinguisher is quality LPCB certified to BS EN3. The stored pressure wet chemical extinguisher is specifically designed for use on class F fires involving cooking appliances containing oil up to 75 litres capacity but is also suitable for class A fires. For added value, our Premium 6 litre wet chemical fire extinguisher comes with Jactone’s distinctive colour coded header label, handle and base which ensure that the extinguisher is identifiable from any angle…great as a visual aid to extinguisher training. 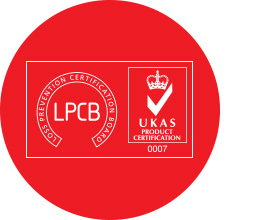 As with the 6 litre, our 3 litre Wet Chemical Premium Range fire extinguisher is LPCB certified to BS EN3 and manufactured in the UK. 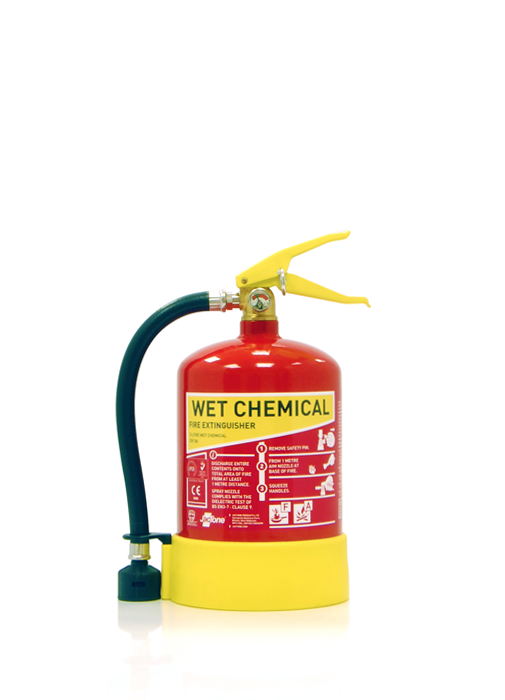 The stored pressure wet chemical extinguisher is specifically designed for use on class F fires involving cooking appliances containing oil up to 25 litres capacity but is also suitable for class A fires. Jactone’s distinctive colour coded header label, handle and base offer great added value and ensure that the Premium 3 litre wet chemical fire extinguisher is identifiable from any angle when it is needed. BS EN ISO 9001 quality system and they are fully certified with third party approvals. 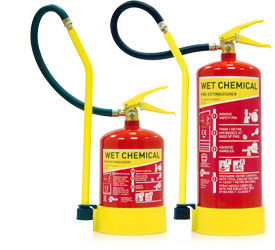 The Premium Range Wet Chemical fire extinguishers are still available with a lance, so if you or your customers prefer this option you can still order them.